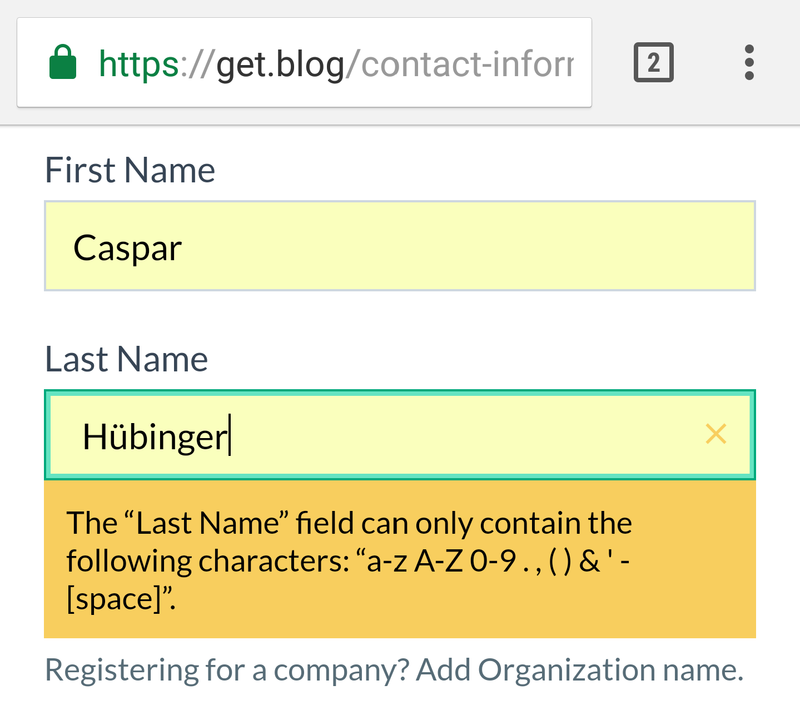 WHOIS to blame when ICANNot have umlauts? A quick tale about think before tweeting, anachronism in tech, and humanizing UX. After all, they’re Automattic (“A WordPress.com service”). I have friends at Automattic. Would those people dismiss internationalization without some sort of a metaphorical gun pointing at them? Most certainly not. In other words: Play safe, use US-ASCII. At least, that’s what I would understand as a total dummy in the field. Because it sure can be. 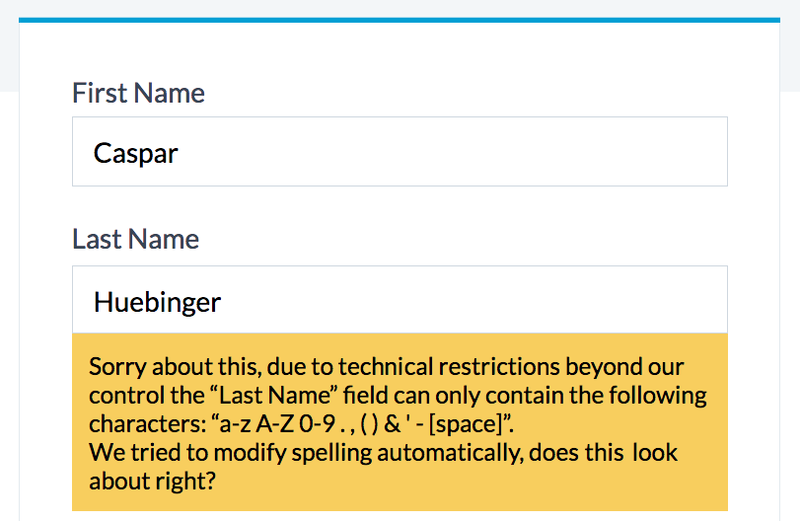 I have grown up in an age where umlauts weren’t accepted even on paper forms in my own country. No biggie, it’s “ue” instead of “ü”. The thing is, I wouldn’t expect a company like Automattic telling me I cannot be who I truly am without any further explanation. Being informed about the simple fact that higher forces demand adherence here, would definitely encourage me to keep my trust in the service. Or even better, have the form apply some brains? Anyways, no drama intended. After all, I just ordered my .blog domain as Mr. Huebinger —like so many times before.